You can even have your "Dogpper" delivered. Have you ever wished you could let your dog indulge in the guilty pleasures of fast food without — you know — just tossing a burger on the floor? Burger King apparently feels your pain and wants to give responsible pet owners a chance to share the BK experience without turning their canines into fast food addicts. Burger King has just unveiled “the Dogpper,” billed as “the first flame grilled bone offered at BK for your best friend.” The company continues, “This dog-friendly alternative to the Whopper sandwich is a bone-shaped treat with flame-grilled beef taste for the dogs of these generous owners.” For you curious types, BK also stresses that the Dogpper is “not for human consumption” (though be to fair, people say curiosity killed the cat, not the human). But before you start telling your dog that he’s been a good boy and can expect a special treat, there is a catch: The Dogpper is being offered exclusively as a part of Burger King delivery orders placed through DoorDash. 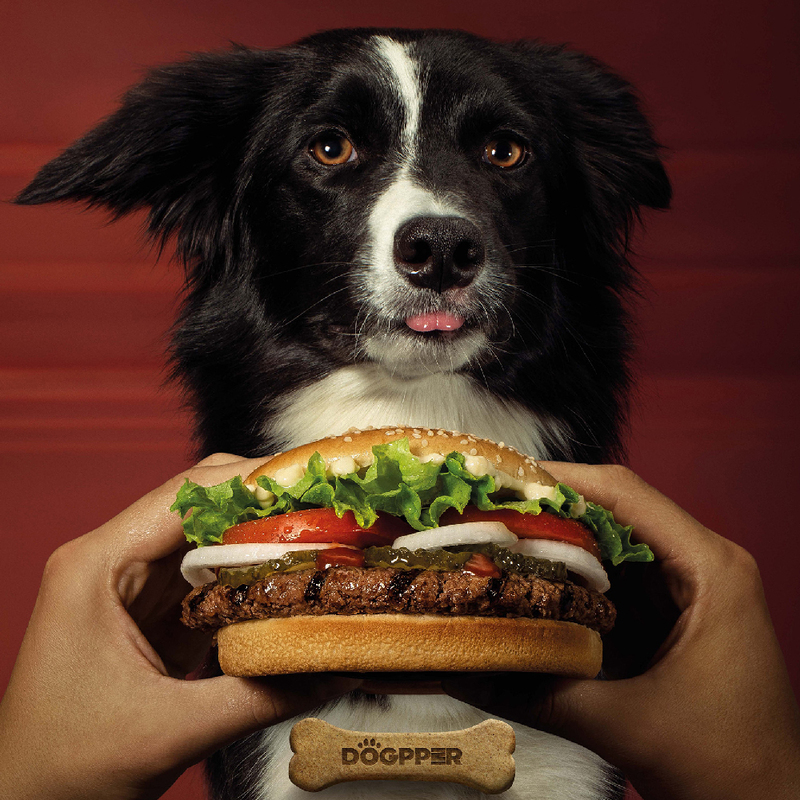 The dog treat is free to anyone who also orders a Whopper via the delivery service's website or app. Thankfully, Burger King and DoorDash are offering one additional incentive to make you choose the delivery route. If you’ve never used DoorDash before, first-time customers can use the promo code “DOGPPER” to get free delivery on orders of over $10 from now until December 4. Burger King has really been pushing the delivery option recently. This dog treat marks the second time this week where the fast food chain has offered up an exclusive item in return for using one of their delivery services. Yesterday, BK announced that they were bringing back the beloved ‘90s breakfast menu item Cini Minis — but only for customers who spend at least $10 on a Burger King delivery order through Grubhub. Seriously, do fast food lovers really need this much incentive to not get off their couch?